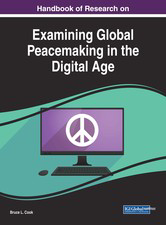 The Handbook of Research on Examining Global Peacemaking in the Digital Age is a pivotal reference source for the latest research findings on the utilization of peacemaking in media, leadership, and religion. WHY IS WOMEN'S LEADERSHIP SO IMPORTANT? HOW DO WE FIND A RESOLUTION TO THIS PROBLEM?